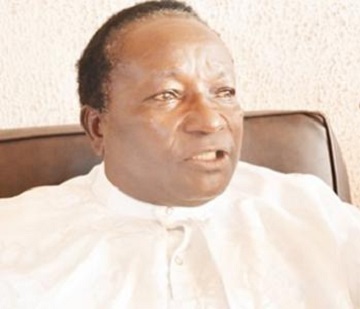 For many Christians, Ogboni soci­ety is not only regarded as a secret cult but also treated as an abomi­nation that must not be identified with. A senior member of the Christen­dom however feels otherwise and in fact made a shocking revelation that will leave many gasping for breath. For over four decades, 65-year-old Pas­tor Solomon Oladimeji has been a shep­herd in the vineyard. Apart from being the founder of Cherubim and Seraphim Church, Orisun-Ayo, with branches at Alapere, Ketu, and Odogunyan in Ikorodu area of Lagos, Prophet Oladimeji reveals that he is also a top member of the Ogboni fraternity. He be­longs to Saala Ogboni Fellowship of Nigeria (SOFN) – within the fraternity – where he occupies the position of Oluwo and the third in command to the overall head of the fraternity. When did you become a member of the Ogboni, and what were the cir­cumstances that prompted you to be a member? Although, my journey as shepherd for Je­sus Christ’s flock is over 40 years, I became a member of the Ogboni society over 20 years ago. Initially, I was initiated into the Aborigi­ne Ogboni fraternity, that is the one they call Ogboni Ibile, but later I joined Saala Ogboni fraternity, and since I made that decision, I have no regret. As a member of Ogboni fraternity, my life is having a meaning. I have prospered. My coast has been enlarged. Members of my congregation are increasing everyday. I also thank God that due to my diligence as a committed member, I have been able to rise to the enviable position of Oluwo within the Ogboni fraternity. Are your members, that is mem­bers of your church aware that you belong to Ogboni fraternity? What is there to be hidden? I am not ashamed of my association with Ogboni So­ciety, and I don’t hide it from members of my church. They all know that I’m a leader in the Ogboni group. When you even come to my house, I openly display my regalia as Ogboni chief. Let me quickly tell you this, by making my members know that I’m Ogboni mem­ber, it makes me popular among them. They describe me as an open and honest person. For that, many of them have been voluntar­ily coming to me pleading to be initiated as a member of Ogboni fraternity. Some people would think that you use charms on them? Why should I use charm on them or to charm them as some people will say? God forbid. I’m a child of light; darkness or any­thing evil has no place in my life or church. Your member will like you, when they know that the power you are using to solve their problems is power from Jesus Christ, my Lord and Saviour. I have never committed evil in my life and I will never do so till the day my Lord calls me home. Are you saying that charm doesn’t exist? No. I’m not saying so. Charms do exist, but it depends on how you use it. I used herbs and leaves combined with other items to pre­pare soap, anointing oil for members and oth­er people that are having spiritual problems. It is unfortunate that today a lot of Chris­tians are suffering out of ignorance. You see some saying it is what my pastor or what my prophet tells me I believe. I will never use any soap, cream, oil by just any minister of God, but only if those members know what those pastors are doing. Some of these pastors and prophets come to people like me to acquire power to per­form miracle and wonders. Some of them are even Ogboni members like me. But they are hypocrites. I will never deny somebody who is my benefactor, and that is why you see me wearing and displaying beads and other items being used by Ogboni fraternity. To me, what matters again is saving life, and it doesn’t matter where you get saved whether it is in the house of babalawo or any juju priest. We are all calling on the name of the same God. In my neighbourhood, both at Alapere and Odogunyan, many residents know me both as a cleric and Ogboni leader. In fact, Baale of Odogunyan, that is the community leader, knows me as the Oluwo of Saala Ogboni. I’m highly respected in the community. I joined the Ogboni fraternity because I like their ways of life. They are decent people. Contra­ry to misconception some people have about Ogboni, that we are evil people. Far from it, rather I will say that Ogboni members are not only children of Light, but we are also mes­sengers of the Most High God because, we don’t kill but only save lives. But some people believe Og­boni is evil, and that it is an evil association condemned by the Bible. Those who say so are ignorant. They have been brainwashed by our colonial masters. But thank God, we are now in a different era, and we can all be reading the Bible without relying or depending on what the imperialist swould want us to believe in order to suit their own purpose. Some will tell you that Ogboni is evil because they use juju, they still carry out sacrifices of various forms by shedding blood of animals, and birds. Some even out of ignorance say we eat human flesh. Rubbish. May Almighty God forgive our traducers. If you are talking about sacrifice, where did the Bible condemn sacrifice? Let our accusers point it out either in the old or the New Testament. Throughout my years at the seminary and the Bible school, I never come across such. Then the sacrifice you are talking about, on several occasion especially in the Old Testa­ment, sacrifices were carried out to atone for the sins of the Israelites. It was also often carried out when the chil­dren of Israel were looking for one favour or another. But coming down to the New Testament, don’t mind those confusionists who say that Jesus Christ, my own Lord and Saviour con­demns sacrifice, what a big lie. If you can still remember when Jesus Christ himself was born the day His parents Joseph and Mary were taking Him to the Synagogue, Joseph has to sacrifice doves, and pigeon. He took the birds to the church. You can read in the book of Matthew and Luke. So, if the parents of Jesus, my Master, the Author and Finisher of my Faith were in­volved in sacrifice, why would I say I want to distance myself from such? Again, they accused us pastors of asking some people that have problems to go and bathe in a running stream, what is wrong with that, did such not happen in the Bible? Have we forgotten the story of Naman, the Syrian Army General who had leprosy and was look­ing for a cure, how Prophet Elisha asked him to go bathe inside River Jordan, and Naman was healed after complying with the prophet’s instruction, and this is why I said some people are dying due to ignorance. Sacrifice is biblically ordained. I sacrificed animals and birds to offer prayers to cure and heal people of their ailments. When I pray for you and it is revealed to me that I should kill duck, cow or even goat to offer prayers for you, I will tell you to make available such animals for sacrifice, and the moment we do that, you receive your healing. When I kill fowl, goat, duck or even cow for sacrifice to heal somebody, I have not in any way transgressed. I’m only doing the will of Jesus Christ, who is my personal Lord and Saviour. Whatever is outside the Bible, you will never see me doing it. Even in the book of Revelation, the use of leaves and herbs was recommended for heal­ing. And for those who describe Ogboni fra­ternity as a cult, this is wrong. Ogboni is a society. We are transparent and honest people. Ogboni abhors evil. We are organized and dis­ciplined. A cult is a group of people involved in secrecy, we are open to scrutiny. Let those who out of hearsay say evil about Ogboni be bold and come to our meeting and see wheth­er it is true that we drink blood. All those pastors saying rubbish about Og­boni are doing so to attract membership. You say you sacrifice animals, if that is what is needed for someone’s prayers to be answered, but the Bible says Jesus has done that by His death, are you not going against the Bible? Far from it! Whatever I do as Ogboni Pastor is biblically ordained and inspired. If you read your New Testament very well, Apostle Paul who is regarded as one of the most dynamic evangelists of his era says that without shedding blood, that there is no redemption. Am I the one that put that in the Bible? Even when Jesus Christ was about to be dedicated, His parents, Joseph and Mary took pigeons and doves to the church which were slaughtered as a sacrifice. You also read in several other places both in the Old and New Testament where blood sacrifice took place. You remember the case of Cain and Abel. I even read Bible before I carry out this killing of animals as sacrifice in order to save souls. You said you belong to Cherubim and Seraphim sect, is the leadership of the church aware of your membership of Ogboni fraternity, and again are members of the Christian Association of Nigeria aware of your position in Ogboni? I have never hidden my membership of the Ogboni group. The church leaders are aware, and nobody has raised any eyebrow. I’ve even used my membership of Ogboni to win more souls for Christ. As for CAN leaders both at Alapere, and in Odogunyan, I play prominent roles in the affairs of the association. I pay my dues as and when due. I also sacrifice my time and energy for evangelism. They respect me a lot. There are also other pastors there who are fellow Ogboni members. But I won’t mention names here unless the situation warrants it. Just as I’m not ashamed of the gospel so also I’m not ashamed of being an Ogboni pastor. Some pastors do come to us at Ogboni meetings seeking spiritual assistance for their church grow in terms of membership. At other times, they seek our help that their members will obey them or do whatever they ask them to do without questioning their authority. But it is a big shame that these pastors when they mount pulpits would be deceiving their members by be­having and talking as if they are truly holy spirit-inspired. They should learn to give credit to whom it is due. Let me be bold in saying this that it is unfortunate that the church is full of deceit today. It is a big shame that many of these so-called men of God that claim that they rely on the power of the Holy Spirit to do mira­cles are liars. They are big liars. Many of these pastors both within the orthodox and the Pentecostal fold are mem­bers of Ogboni fraternity. They come to the Ogboni meetings seeking powers which are given to them. We also have many profes­sionals including lawyers, doctors, engi­neers, university lecturers, imams, Islamic and Christian leaders, and traditional rulers as our members. We don’t discriminate. Our mission here on earth is to save mankind. Why do you think Ogboni has such powers that even pastors, as you say, seek power from it? Ogboni members derive power from God. We call on the name of the supreme being which Yorubas called Olodumare. We call on Him and He answers our prayers an­ytime we call upon him. We also get power through some deities like Ogun, god of iron, Sango, god of thunder and so on and so forth. What matters most is to have purity of heart and mind. When your mind is pure, when you call on God, He will answer your prayer. If God is not with us, the power we use as Ogboni members will fail us. Without God’s backing, there is nothing we can do. Ask those pastors or any other person that have been to our meetings if we ever call on any other name during our meeting than that of Supreme being, Olo­dumare. As the saying goes, the taste of the pud­ding is in the eating, whosoever is in doubt about what we do or wants to know wheth­er I lie that God is the source of our power should endeavour to come to our meeting. Saala Ogboni runs an open-doors policy. You are welcome into our midst any time. You said Ogboni is not a secret cult; if so, why is it not holding meetings openly as other religions? It was in the days of the yore that Ogboni holds meetings in secret. Today everything about us is open. We hold our general meet­ings on 1st Sunday of every month in broad daylight. During the meeting, we welcome new members, then we exchange ideas on issues that will bring development to the soci­ety. We also conduct vigils in the open like Christians and Muslims do. Just like their own, we hold such vigils in our headquar­ters, local branches, but we conduct our fellowship in the open. We hold such vigils in the second Sunday of every month. As a reporter who is naturally inquisitive, you are invited either our night vigils or general meeting as doing so will enable you to have open mind while writing your report. Christians believe in Christ, Mus­lims believe in Mohammed, what does Ogboni believe in? We believe 100 percent in Olodumare, the Supreme being, and it is from Him we derive our power to do all things. However, we also believe in lesser deities such as Ogun, Sango, Sonponna, and other deities which are believed to be mediums through which we can also call on the name of Olo­dumare. Ogboni strongly believes in the culture and traditions of our forefathers. You can call us traditionalists. As Ogboni pastor, what spiritual advantage do you have that other pastors who are not Ogboni mem­bers don’t have? The advantages I have are enormous. You know when you are doing something with purity of mind and purpose, God will answer your prayers. Being an Ogboni pastor, I have 100 percent direct access to Olodumare and when I call upon Him, He never disappoints, and that is why you see some people that call themselves pas­tors, they can’t see any vision, they can’t cure anybody, and that is why they come to our members in the Ogboni fellowship to acquire powers to enable them perform miracles. You don’t need to kneel down before me before I know who you are or your prob­lems. The moment I pray for you or you send a prayer request from any part of the globe, I will know what your problems are and the way out. But how many of these pastors can lay claim to such? The moment you become a member you will be auto­matically qualified to have or enjoy these powers. As I said, Ogboni is not evil. We are not children of darkness, but that of light. If we are evil, why is our membership increasing with even both Islamic and Christian clerics seeking our assistance? Pastors that are not Ogboni members will have problem of church growth that is talking about membership, that is why in some churches they don’t have up to 30 members, whereas in other ones you see a mammoth crowd. For those who have large mem­bers, do you think it is by their own power that they do it? No. Several pastors come to us and we do what we call Aworo in Yoruba for them. Aworo is a kind of charm that draws crowd to a place. We do it for pastors, and that is why you see many of them driving state of the art cars. For those pastors that don’t know their ways, you see them in penury, drinking garri and coconut most of the time. What is your educational back­ground? What does educational background have to do with my work as a servant of the Most High? However to satisfy your curiosity, I had elementary education, and that was a period when standard six certificate was of high quality than secondary school certifi­cate today. I was into private business of buying and selling textiles and wood when God called me into His ministry. Initially I resisted be­cause my business was flourishing, but later I succumbed to God’s call. Then, if you are asking about my edu­cational background, which school or semi­nary did Moses, Joshua, Elisha and Elijah attend? And yet were they not great minis­ters of God who performed wonders? Even my Personal Saviour and Lord Jesus Christ, did He attend any school? To be a minister of God is not an aca­demic issue but everything depends on God who call you. If God does not call and you call yourself, your ministry will not prosper. You will be living from hand to mouth, but when it is God that called you to be a serv­ant in His vineyard, you will prosper be­yond your own wildest imagination.